Corruption of the Ukrainian government, its spread as a cancer of the society, has become not just a trait of the national disaster but also manifested itself in metastases in a country like the United States. Frankly speaking, thanks to the many years of civilized practice of American lobbyism and the effectiveness of US legislation, the Ukrainian virus could not and will not be able to have a significant impact on American politics and American society. However, the case of former political technologist Paul Manafort and Viktor Yanukovych, which was considered in Washington spoilt the image of Ukraine. The indictment signed by the special prosecutor Robert Mueller regarding the lobbyist Paul Manafort and his business partner Rick Gates, the latter are accused of 12 counts for illegal actions caused by the fact that they were unregistered agents of the government of Ukraine and Viktor Yanukovych, from 2006 to 2015. According to the prosecution, Manafort earned several tens of millions of dollars in Ukraine and laundered them through offshore corporations and accounts in Cyprus, Seychelles, Saint Vincent and the Grenadines. They are also accused of being the leaders of a campaign for lobbying American officials in the interests of the government and the president of Ukraine, they did not register with the US Justice Department as foreign agents and did not provide data on the work performed and incomes from it. A separate point of accusation indicates that the materials published by them did not contain in a conspicuous place the name of the foreign customer. I wonder how many materials would remain clean if such a rule operated in Ukraine. As it was reported by the BBC, in February 2012, Manafort and Gates commissioned two Washington campaigns to process members of the Congress and their assistants on such topics as sanctions against Ukraine, the fairness of the Ukrainian elections and the suitability of the case against Yulia Tymoshenko, as well as a “positive” report on the trial of her. For this work, they transferred to the executors $ 4 million. Manafort concluded a $ 40,000 contract with Ted Devine monthly with a bonus of the same amount for the 2010 presidential election campaign. In 2012, Manafort actively interacted with Elena Bondarenko (one of the key figures of the Party of Regions) and Maxim Denk (one of the leaders of the Inter TV channel). The mediator in these contacts was the head of the Kiev office of Manafort, Konstantin Kilimnik. I think it will be interesting for readers to learn about the “close connections” between Manafort and Igor Shuvalov, who controls entire information policy of Inter with the help of Sergey Levochkin. It is worth mentioning the contacts of Manafort with Boris Kolesnikov, who was then vice-premier, who was dealing with infrastructure issues and was personally responsible for hosting the European football championship. Recently, his name was mentioned in the corruption scandal of “Ukrzaliznitsa”, in the issues of the placement of advertising on the trains “Intercity” and the profit loss of $ 18 million. In the documents of Manafort, Kolesnikov is listed, using the nickname “BVK”. Apart from Kolesnikov, the participants of regular meetings with Manafort and his team were: Irina Akimova (in 2010 — First Deputy Head of the Ukrainian AP), Sergei Levochkin, Andrei Goncharuk (who headed the General Directorate for International Relations of the AP), Yuri Levenets (who consulted in the election of 2010, two competitors — Viktor Yanukovych and Yulia Tymoshenko), Anna Herman, Andrei Portnov, Andrei Ermolaev, Oleg Rafalsky, Vitaly Graomotnev and Stanislav Skubashevsky (former Deputy Head of the Presidential Administration of the times of Yanukovych for personnel and regional policy). 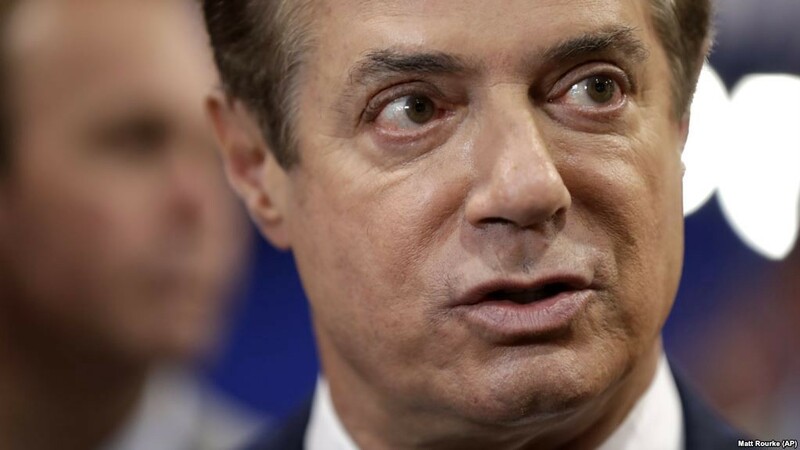 It is interesting that Paul Manafort advised not only representatives of the Party of Regions, Viktor Yanukovych and his entourage, but also representatives of the Opposition Bloc. Manafort appealed to them with a proposal to inform the Ukrainian authorities, business representatives and diplomats about Opposobok’s position in relation to certain current and strategic issues. He proposed to make Ihor Boyko “responsible” for the construction of an energetically independent Ukraine, for decentralization — Alexander Vilkul, for the reconstruction of Donbass, — Boris Kolesnikov. It is noteworthy that Manaforte did not have candidates for leading experts on European and trade integration, judicial, electoral and administrative reforms. According to the law, Paul Manaforte faces a prison sentence of 12.5 to 15 years and his accomplice 10- 12.5 years. However, we must bear in mind that the American court is not our “factory of sentences” and therefore, it can still change. The scandal with Manafort and Gates is good lesson, at least for two reasons. Firstly, Ukraine is again at the center of an international corruption scandal, the consequences of which will not only affect the current political situation, but the image of the country in general. Secondly, it allows us to turn again to the problems of lobbyism in the modern world, the practice of its legislative regulation. In this sense, this scandal plays a positive, constructive role for Ukraine. If we, of course, perceive these lessons. Speaking about the role of lobbyism in the United States, we must immediately point out that it is one of the foundations, the most important component of the entire American political system. Thanks to lobbying, the authorities interact with American society and business. Due to the challenges of lobbying and its financial possibilities, there is a developed and highly productive “market of thought” in the United States. American “tanks of thought”, interacting with lobbying structures, business and the state create a huge variety of effective solutions for public policy. They also make America the master of all the key scenarios of national and international development, allow to pursue the policy “ahead of the curve”. For Americans, to lobby is to make lobbism an effective alternative for corruption, to provide the possibility of influencing the state from the side of society and business. The existing lobbying technologies and legislative restrictions work so effectively that they virtually protect Congress and the White House administration from direct bribery. The basis of all technologies of civilized lobbying activity is the exchange of important links and useful information (analogue of the “Daronomics”, well-known to social anthropologists, Gift economics). Therefore, in American lobbyism, leading positions are occupied by intellectuals. Legislative restrictions on the transfer of any material wealth to government officials and suppression of attempts to get a high-paid job after the resignation of the official forces lobbyists to develop sophisticated arguments supported by scientific research data, and also widely use the media and PR to influence public opinion (“external lobbying”). American political culture makes it impossible to promote private or special interest without the connection of it with a certain public weal. The American lobbyist must associate his company or product with national security, ecology, development of high technologies, education, or something else that is understandable and close to public opinion. Professional lobbyists are forced to develop the market of intellect, science, in order to receive from them new ideas and expert judgments that provide and legitimize the special interests of lobbyists. For Americans, lobbyism is a familiar and natural phenomenon rooted in political culture. They believe that there is nothing wrong with the desire of various groups or individuals to influence the political process. After all, democracy is a competition of different interests. These interests should be expressed in forms acceptable to the society. Struggling for someone’s interests, the groups, which represent them are also fighting for a special understanding of the common good. For Americans, financing lobbyism causes funding for competition of ideas, which, in turn, leads to the better financing of public interest. That is why, attempts to lobby exclusively private interests, without regard to the idea of ​​the common good, lead to setbacks with enormous reputational and financial costs. This was the error of Manafort, and the first lesson for Ukrainian lobbyists. The victory over corruption due to civilized lobbying became possible due to clear and effective legislation on lobbying activities. The first federal law on lobbyism was adopted in 1876. He forbade lobbyists to arrange business meetings for their clients with other members of their congressional committee. In 1935, the Law on Holding Companies was passed, which obliged to file applications with the Securities and Exchange Commission for anyone who wanted to influence the US legislature, the Federal Energy Company or the Securities and Exchange Commission, in the interests of holding companies. In 1938, the “Law on the Regulation of Foreign Agents” was adopted, which established the mandatory special registration for lobbyists of foreign interests. It is the violation of this law that is now attributed to Manafort. In 1946, the main law for American lobbyists was passed, the Law on the Regulation of Lobbyism. According to the norms of this law, the lobbyist should have a higher legal education and at least 8 years of practical work experience in federal authorities. The law established the mandatory oath for lobbyists. In addition, lobbyists are obliged by this law to disclose information about customers (name, first name, address), term of the contract, amount of fees, and also specify those documents that it is going to lobby. The 1946 law also established the mandatory quarterly financial and legal report of lobbyists to the State Department. It is important that this law provided for the creation of special professional lobbying structures. On the 19thof March, 1979 there was the first meeting of the American League of Lobbyists, which is the main structure of self-regulation of lobbyism in the United States. The “Ethical Reform Act” of 1989 prohibited former high-ranking officials from trying to influence the government within a year of leaving office. On the 1stof January 1996, the Law on Disclosure of Lobbying Activities came into effect. It gave the answer to the question: “Who can be considered a lobbyist?”. A lobbyist is a former or current politician who spends more than 20% of his working time promoting the interests of a particular group. Also there is the definition of “lobbying contact”. Assuming that Sytnik was an American citizen, he would be recognized as the violator of this law after his meetings with Poroshenko, as a lobbyist contact is considered to be any oral or written appeal of a natural person or organization regarding submission in Congress or executive bodies the power of resolutions, draft laws or amendments to existing ones. The Secretary of the Senate and the clerk of the House of Representatives were in charge for creating lists of lobbyists accessible to citizens. The law also confirmed mandatory registration for both American and foreign lobbyists. In 2007, the “Law on Honest Leadership and Open Government” introduced a lifetime ban on lobbying for senators, the Secretary of State, the Minister of Defense, the directors of the CIA and the NSA. In 2011, there was a very interesting position: civil servants with income of less than 130.5 thousand dollars a year were prohibited to engage in lobbying activities. In such a way US lawmaker expects to stop the use of lobbying activities for enrichment and to reduce the likelihood of “dirty” transactions. In 2017, Donald Trump, imposed a lifetime ban on engaging foreign lobbyism for the staff of the presidential administration and a 5-year restraint for them in dealing with other types of lobbying. The detailed legislative regulation has allowed American lobbyism to become a civilized alternative for corruption and in fact to eliminate it from American life. In Ukraine at the moment, in general, there is not a single legislative act, that regulates lobbyism. I think that this is one of the reasons for the flourishing of corruption in our country. 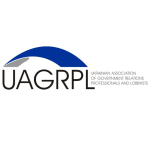 The need for legislative regulation of lobbyism is the second lesson of Manafort for Ukraine. Despite the importance of regulating lobbying by law, the moral principles adopted in the lobbyist environment itself are even more important. The main set of these rules for American lobbyists are the “Woodstock Principles” adopted by the American League of Lobbyists in 1990. 1. Lobbying should be directed to the public weal, not only to the interests of a particular person. 2. The relationship between the lobbyist and the client should be based on sincerity and mutual respect. 3. A statesman has the right to expect frank disclosure of information by a lobbyist, including accurate and reliable information about the client, as well as the nature and consequences of the social problem being solved (this item was violated by Manafort). 4. Working with other leaders of public opinion, a lobbyist can not hide or distort the identity of the client or other relevant facts (also violated by Manafort). 5. The lobbyist should avoid conflicts of interest (Manafort also neglected this rule). 6. Some actions are in principle unacceptable in lobbying practice. 7. The lobbyist is obliged to defend the high ethical properties of lobbyism both in practice and in the public understanding of the latter (also violated by Manafort). It is important that the violation of several (even one, was enough) Woodstock principles put Manafort outside the professional community of American lobbyists, deprived him of moral and legal support to his colleagues. Hence the third lesson of Manafort for Ukraine : society will be able to overcome corruption if people even simply suspected of it will lose the support of their colleagues and experience negative public opinion. In the meantime, we can not say that Ukraine has learned this lesson. It is quite obvious that in this article it is impossible to note all the lessons that the “Manafort case” presented to Ukraine and Ukrainian lobbyism. I am confident that the situation will be better in Ukraine, if we can demonstrate the knowledge of at least those three lessons that were described. Previous Потенціал розвитку українсько-американських відносин.